You can schedule an email to be sent at a later date. Please note that this feature is available only through Chrome Extension. How to use Send Later? Once this is complete, the composer will close. The email will be stored in your drafts folder until it is sent. 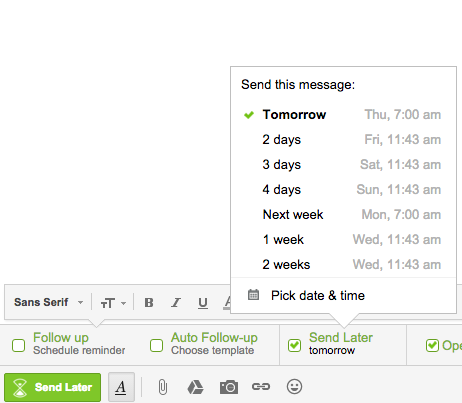 To edit, delete or reschedule the email, simply open the draft and make your changes.